Right from this version, FreelanceEngine has another great supporter to help you run the site more effectively. It is now integrated with WooCommerce’s payment gateways so that your users will have more option to make their transaction. The best thing is, you don’t have to make any setting in the admin panel. No hard work needed, all you have to do is select the suitable ones for your site. 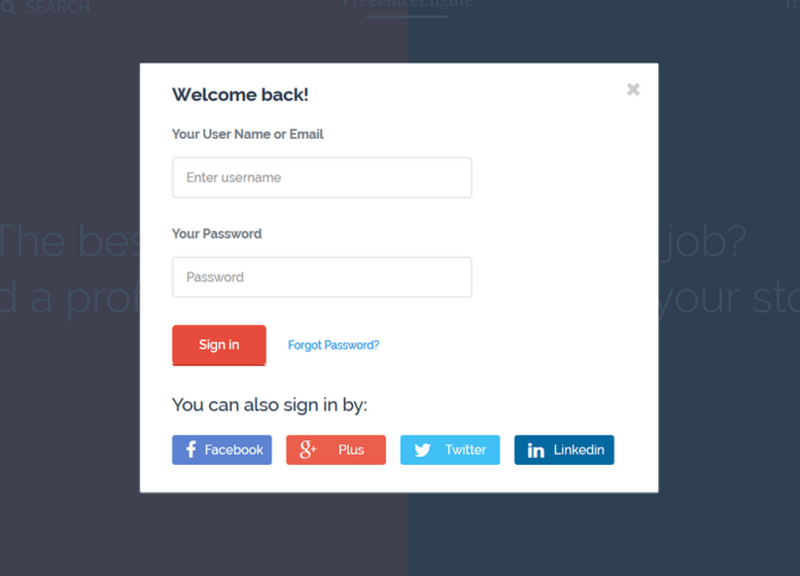 Apparently, social login makes it easy for people to register on your site and quickly sign in using the accounts they already have. According to some research, it helps to improve the registration conversion rates by at least 50%. Acknowledge this benefit, social login feature is now integrated in FreeelanceEngine version 1.4.1. Users can easily access your freelance marketplace without any hassles. Further more, the settings process is not hard at all. The average bid function now works fine. Together with FreelanceEngine is ClassifiedEngine latest update. The version 1.9 focuses on fixing all the bugs to maintain the site performance. As a result, all the main functions in the site now run smoother and better. Furthermore, the mobile version is updated as well. Users can save time by uploading multiple images via their mobile phones. No more waiting for the images to take turn to be displayed. You can check out the file changelog.txt to see which files has been changed in this version. We’re about to start our customization service in April. You now can sign up and tell us about your proposed customization features. Whether you need theme customization, theme code customization, extension customization or customization for your own site, EngineThemes Customization Service is here to help. Subscribe now to get 25% discount as a first time meeting gift. ClassifiedEngine version 1.9 Together with FreelanceEngine is ClassifiedEngine latest update. The version 1.9 focuses on fixing all the bugs to maintain the site performance. As a result, all the main functions in the site now run smoother and better. Furthermore, the mobile version is updated as well. Users can save time by uploading multiple images via their mobile phones. No more waiting for the images to take turn to be displayed. You can check out the file changelog.txt to see which files has been changed in this version. Small notice We're about to start our customization service in April. You now can sign up and tell us about your proposed customization features. Whether you need theme customization, theme code customization, extension customization or customization for your own site, EngineThemes Customization Service is here to help. Subscribe now to get 25% discount as a first time meeting gift.